The outside of the Coppola Winery. 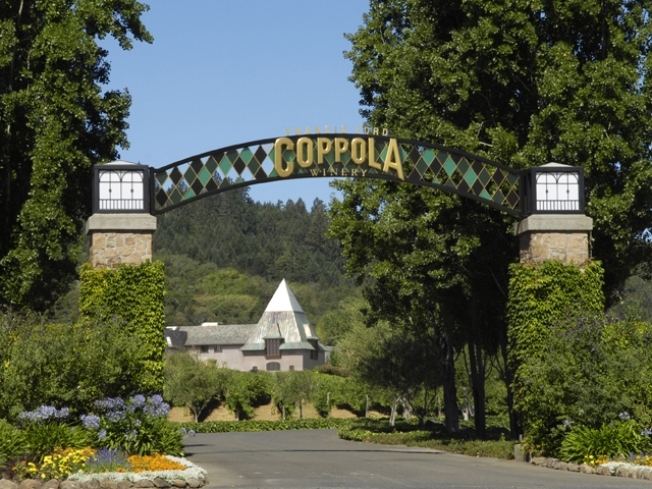 The new restaurant Francis Ford Coppola is building out at his Geyserville winery has a name. And it certainly does make for an interesting roll off the tongue: RUSTIC, Francis' Favorites. Still the restaurant's ambitious concept does sound enticing. It will be "paneled with dark wood and set around an Argentinean Parilla grill, the restaurant plans to take guests on a journey around the world, through the filmmaker's favorite foods." The menu will contain items ranging from Coppola favorite Chicken Under a Brick to hamburgers and authentic Neopolitan pizza. The restaurant is scheduled to be reopened in July after four years of planning and millions of dollars of investment.